We are cleaning out our attic and came across many old letters with stamps, and we are wondering which is best way of preserving the value if any. Do we cut the stamps off the envelopes or leave them as is? Until you have a local dealer or collector check them, I would leave them on-cover (envelope). A stamp off-cover or on-piece in just a used postage stamp. A stamp on-cover is living-history. Collecting postal-history, as philatelists call it, is becoming increasingly popular with collectors around the World. 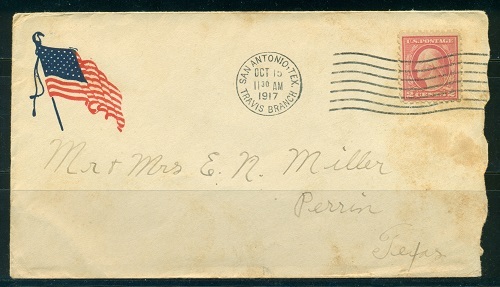 A stamp on cover, with interesting cachets, postmarks, and / or transit markings, especially if it pertains to some significant historical period or event, may be worth far more than the value of the used postage stamp.